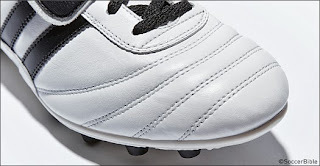 We all get innovation, it's impressive, it develops with the game and can aid your performance but sometimes taking a step backwards to go forwards can be equally as effective. 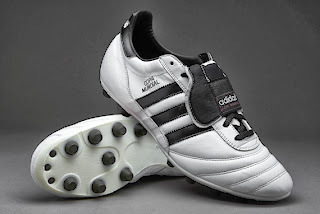 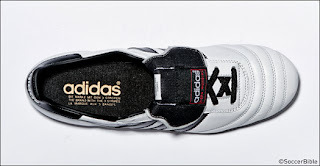 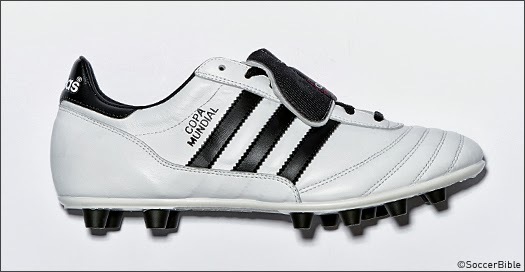 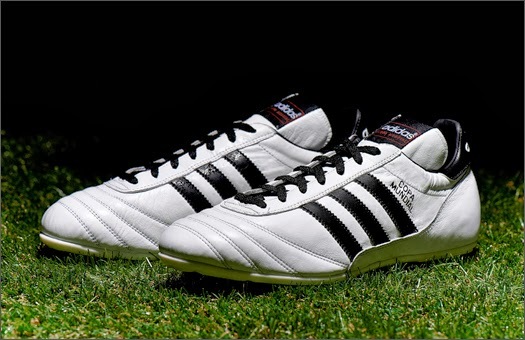 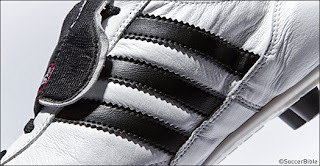 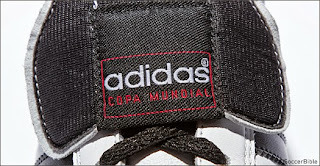 The Copa Mundial is the ultimate black and white boot and is still as popular now as it was back in 1982 but now adidas have reversed the colours to launch a limited edition white/black Copa Mundial. Phenomenal sales, legendary wearers and the personal involvement of Adi Dassler in the early development of the original Copa Mundial before he passed away have guaranteed it's place in football folklore. With only subtle changes since it was designed for the 1982 World Cup in Spain, the Copa Mundial is made as it always has been, at the only adidas owned production facility in Scheinfeld, Germany. Crafted with a premium K-Leather upper and additional leather on the heel to improve durability and stability, this limited white edition has the same fantastic ball feel and glove-like fit as the traditional colourway. It also features the same soft synthetic linining and EVA insole for outsanding comfort and classic direct injected polyurethane outsole with moulded studs for durable grip on firm ground.